Because of enhanced student engagement and learning gains demonstrated by Team-Based Learning research, the Center for Excellence in Learning and Teaching (CELT) has placed TBL as a priority initiative. 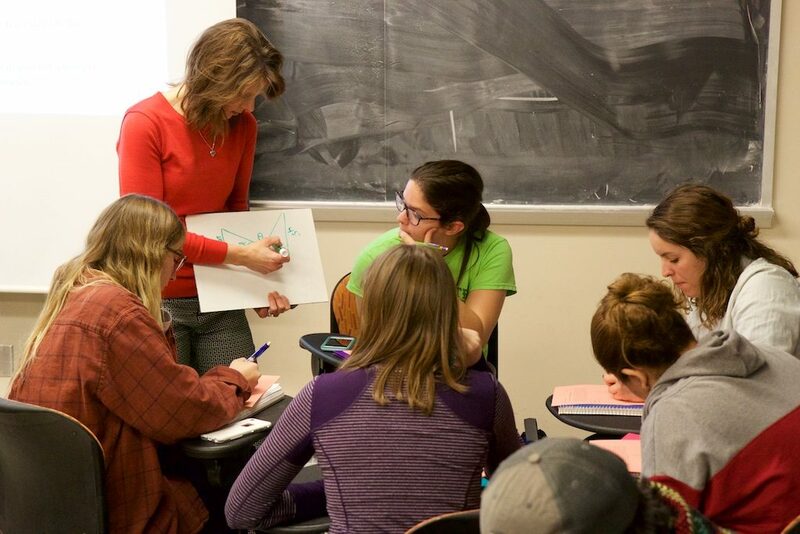 Each semester, CELT offers a team-based learning workshop to help teachers implement this flipped classroom method. CELT also supports an ongoing faculty learning community. After learning the completing the TBL workshop, ISU faculty and TAs are invited to join the Team-Based Learning Community for additional support from excited, motivated TBL implementers. Registration is required for faculty, staff or graduate teaching assistants to participate in this series. Register using your Net-ID/password via the Learn@ISU website, or email celt@iastate.edu or call 515-294-5357 with your name, program, and program dates. Summer series: June 10-12 (1:10-4 p.m., 2030 Morrill Hall) Please note that the session on Wednesday, June 12 will run from 1:10-5:00 p.m. The research-based flipped classroom and team-based learning (TBL),” an increasingly-popular form of flipped-classroom where small-group learning that can be implemented effectively in small or large classes. TBL was originally developed nearly 40 years ago by a professor of organizational psychology to maximize the power of teams, and carefully designed to avoid the pitfalls of small group learning. TBL provides students with a more intimate, small class feel even in large theater-style classrooms with fixed seats. TBL teachers report high levels of student attendance, preparation, participation and critical thinking. TBL students report enjoying class and being more motivated and actively engaged. Collaboration in teams builds student problem-solving skills that are valued by employers in real-life workplace environments. Just like on the job, participants are expected to be responsible and prepared as individuals and then bring their best efforts into group activities. Graduates of the TBL Teaching and Learning Circle (Workshop Series) are invited to participate in the TBL Learning Community. We work as teams to optimize application exercises, readiness assurance tests, peer evaluation, and other aspects of course design, and also invite speakers to facilitate discussions of TBL theory, research and classroom application. Facilitator: Michael Dorneich, Associate Professor, Industrial & Manufacturing Systems Engineering. Register using your Net-ID/password via the Learn@ISU website, or email celt@iastate.edu or call 515-294-5357 with your name, program, and program dates.